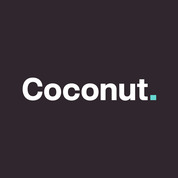 Coconut is raising £500,000 investment on Crowdcube. Capital At Risk. After selling their first fintech business, Sam and Adam joined the freelance community. They quickly found that working for themselves presented very common challenges like managing expenses, getting paid and the dreaded tax return. Despite qualifying as accountants at PwC, they spent a lot of time and money on traditional cloud accounting packages and business bank accounts, but couldn’t find a way of getting real-time visibility and control over the finances and tax. They’ve built Coconut to solve this problem. It’s a current account that takes care of your accounting and tax, designed specifically for self-employed people and small business owners. Coconut automatically tells customers which transactions are tax deductible, provides guidance about the tax rules, forecasts their tax bill and fills out their tax return automatically. With an estimated 5m owner-managed businesses in the UK and half a billion worldwide, the Coconut team is on a mission to free 20m people around the world from business admin by combining banking and accounting into one simple product. To see the rest of the Coconut pitch, join now. Join to read more information about the Coconut team, documents, and what other investors are saying about the pitch.